The 22-year-old actress Enhle Gambushe, who made appearances in e.tv's local drama series Imbewu, has died after a car crash in Durban early on Saturday morning. According to reports the actress was travelling with four other people when their vehicle crashed into a wall on Botanical Gardens Avenue in Durban. The identity of the other woman, also in her 20s, who also died on the scene is not yet know. Enhle, who studied television production at AFDA in Durban, appeared in the role of Nonhlanhla in the Grapevine Productions series. She died just after 01:00 on Saturday morning after sustaining major injuries. 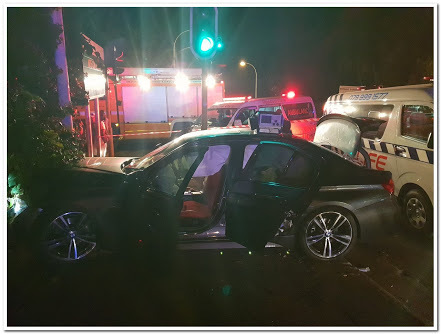 According to the police, the 47-year-old driver of the BMW will be charged with culpable homicide and will appear in the Durban Magistrate's Court on Monday. "It is unbelievable. We are liaising with the family and they have requested space to deal with this tragedy," said Leleti Khumalo, executive producer of Imbewu: The Seed.